1. First you need to stain your paint stirrers (I did 2 coats of stain). Trust me, since these are so thin they soak up the stain pretty quickly and dry fast, so adding 2 coats is a breeze. I only stained one side, since after all you won't be seeing the back of the mirror. I did make sure to stain the sides of each stirrer though. 2. After everything is dry, you'll want to break of the ends of the stirrers, kind of where you see a little dip. After trial and error, I discovered they did not want to lay right without doing this. 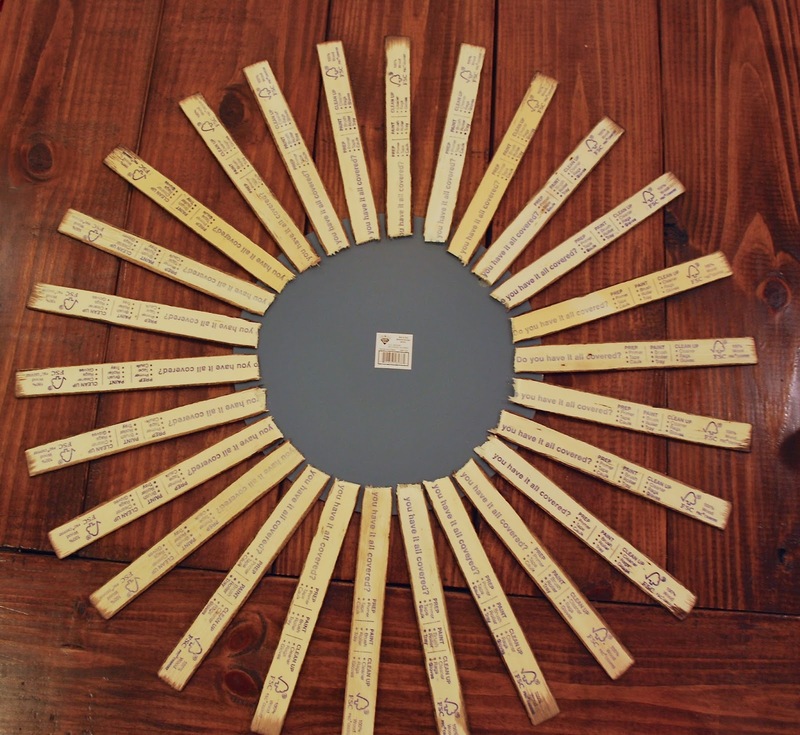 Then lay out your first layer of stirrers on the back of the mirror. 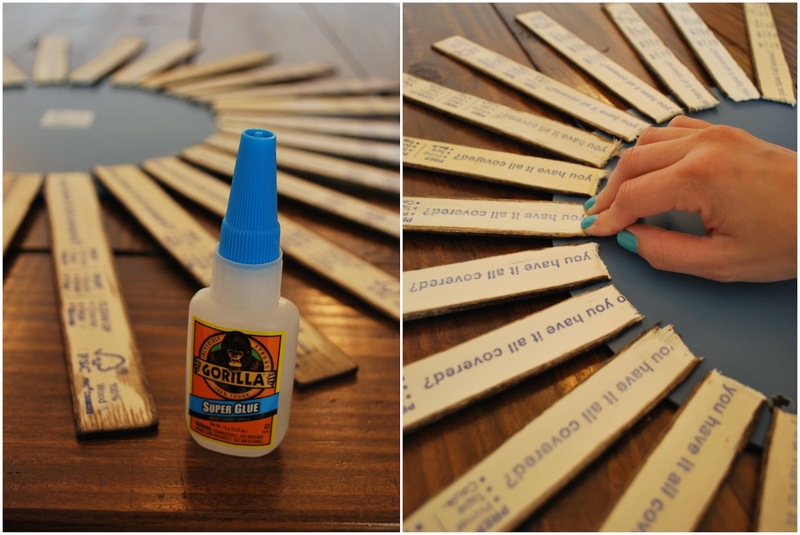 Do this first before you start gluing, it's a lot easier that way to tell that they're even. Then glue each down one by one. 3.Time for the second layer of stirrers. This time, I did not break off the ends since the space between each one was greater. 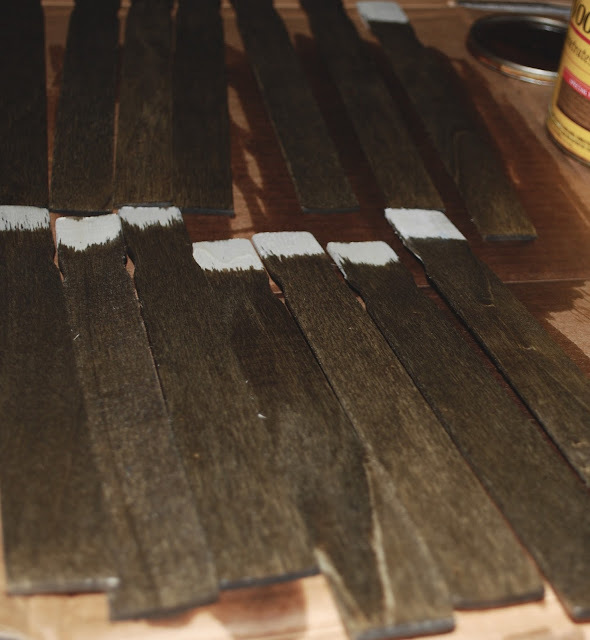 Add one stirrer between each empty slot in the first layer, then glue them down one by one. 4. 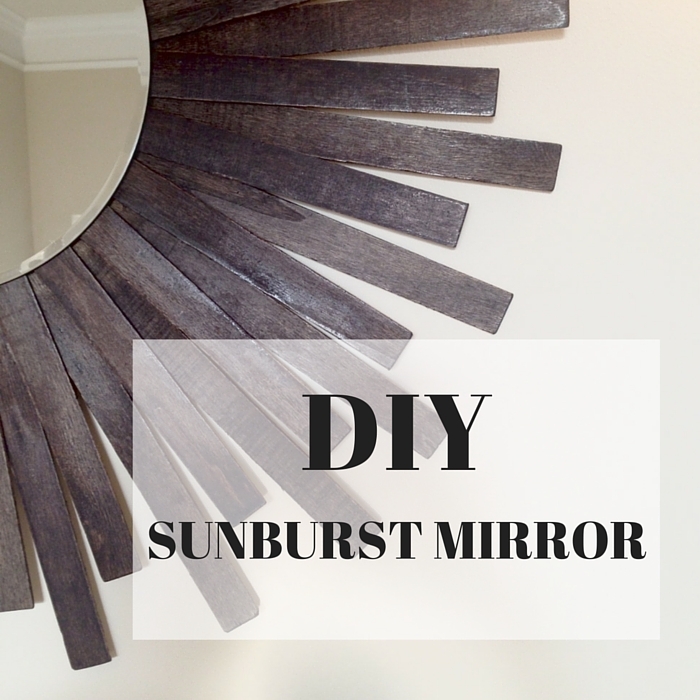 Last thing to do- glue on the picture hanger to the back of the mirror with your hot glue gun. When I move I gotta make this. So cute! Thanks Hannah! It really was so easy to do!! I'm so making this for my bare living room walls! Love it! You totally should! It is so easy to make!! 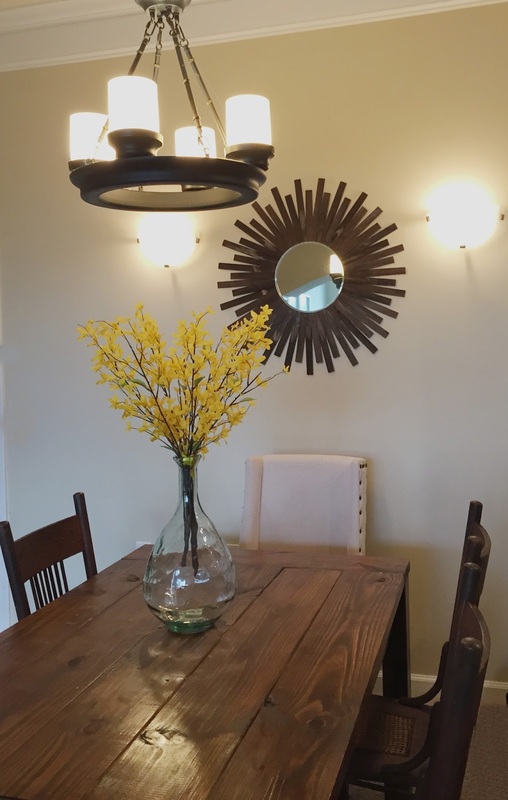 Where did you get your cute chandelier light? :) Love it and would be perfect for my house!! Hi Meredith! We got it from Lowe's. I believe they still have something similar, it is Allen + Roth brand. what size mirror did you use? Hi! 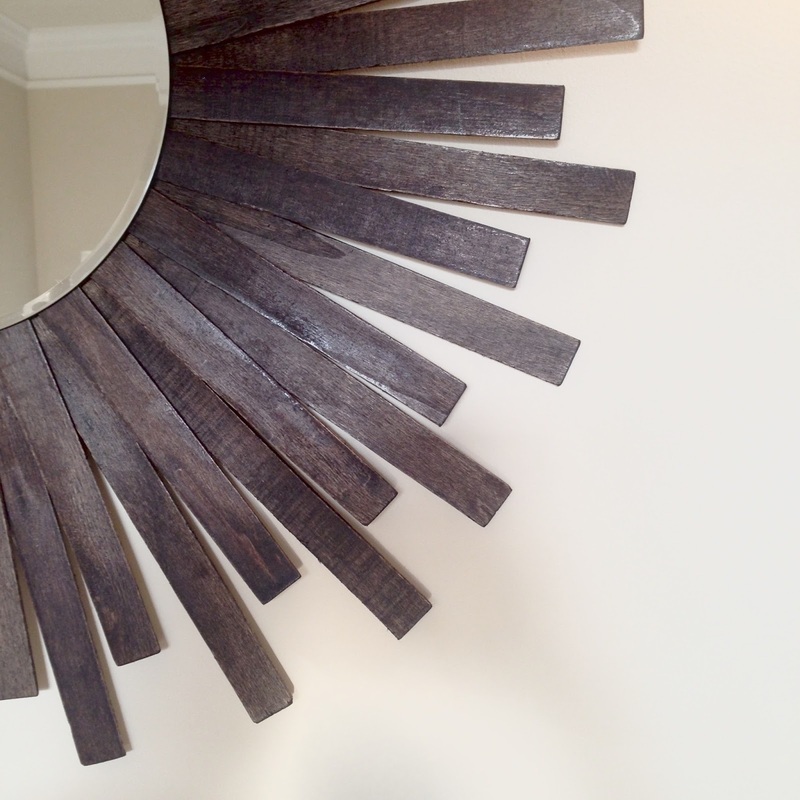 It is a 14" Round Beveled Mirror, purchased it from Joann's.